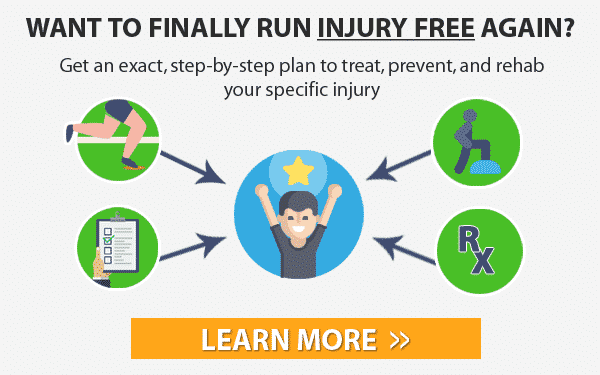 Runners Connect » » Injury Prevention What is the Best Treatment for Anterior Tibialis Pain? 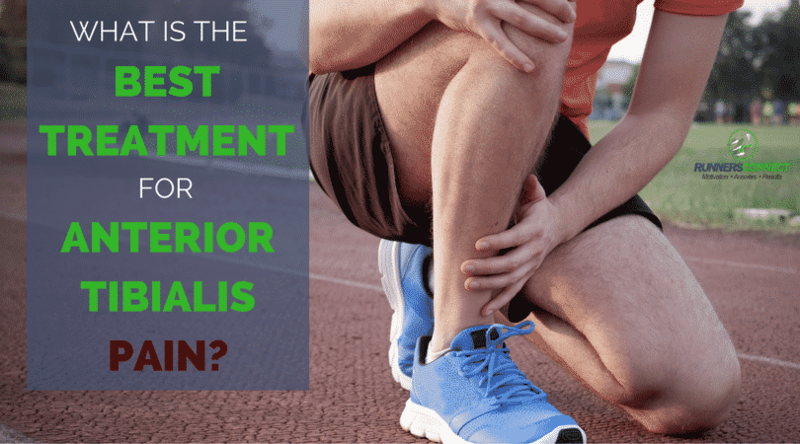 What is the Best Treatment for Anterior Tibialis Pain? The anterior tibialis, or more accurately called the tibialis anterior is a muscle-tendon unit that runs down the front of your shin, just on the outside of your shin bone. The tibialis anterior muscle is the meaty part of that unit, and the tibialis anterior tendon is the short sinewy piece that extends from the bottom of your shin diagonally across your ankle, attaching to the top of your foot next to the peak of your arch. Its main function is to dorsiflex the ankle—pulling your foot up towards your knee. If you have tibialis anterior tightness, you will already know it plays a small but crucial role in running. Tibialis anterior tendonitis (tendinopathy) is the most common injury to cause anterior tibialis pain, but a tibialis anterior tear, known as a tibialis anterior muscle strain does occur on occasion. Much like other tendon injuries, it presents as a dull aching pain along the front of the ankle or the lower shin, on the outside of the leg. Initially, it may hurt only at the beginning of a run, then fade. However, if the condition worsens, more running will cause more pain, and you may experience tibialis anterior pain at night. If you are dealing with tibialis anterior pain, and want to find the best stretches, exercises, and treatment for tibialis anterior tendonitis, look no further, we will have everything you need to get you back to running as quickly as possible. After heelstrike, the tibialis anterior contracts eccentrically to slow the transition from heelstrike to mid-stance. It also acts to stiffen the ankle during midstance, allowing your foot and ankle to store and return energy like a spring. It also positions your foot to ready it for impact while your leg is still in the air, but these first two functions are the most important and most likely to result in injury. Injuries to the tibialis anterior are not common. Anterior compartment syndrome, which can be mistaken for a tibialis anterior muscle injury, was included on the list, which highlights the importance of getting the diagnosis right. There are a few other injuries that need to be ruled out when you have pain along the front of your shin or the front of your ankle. The first is a simple fix—loosen up your shoe laces and make sure you are lacing them correctly. Sometimes carelessly tying your shoes too tightly can cause “lace bite,” aggravation along the front of the ankle that can be mistaken for a true tibialis anterior tendon injury. If you’re lucky, your tibialis anterior pain might have just been the result of a footwear malfunction. The other two injuries that must be ruled out are more serious. The first is a tibial stress fracture—not the run-of-the-mill kind, which occurs on the inside edge of the tibia, but one that occurs on the “leading edge” of the shin, or the anterior surface in medical terms. These are problematic because they occur on the tension side of the bone. Anterior tibial stress fractures cause a sharp, localized pain on the leading edge of the shin bone, and the spot will be painful if you push on it. There might be some muscular tightness too, but a stress fracture will always be painful on the bone. If you have bone pain on the front of your shin, you should definitely see a doctor—an MRI or bone scan might be needed to definitively rule out an anterior tibial stress fracture. The final injury that must be ruled out is exertional anterior compartment syndrome. Exertional compartment syndrome occurs when the sheath that contains your tibialis anterior muscle is too small. During exercise, as bloodflow to the muscle increases, the muscle swells up and presses against the sheath. Pressure builds up inside the sheath, causing pain. The good news is that compartment syndrome can be easily diagnosed via a compartment pressure test, which involves checking the intramuscular pressure with a needle during exercise. Maybe not good news as such, but it is easy to diagnose if you have a medical professional you can trust to refer you to the right place. Assuming you’ve ruled out the above conditions and know that you are dealing with a case of anterior tibial tendinopathy or a simple muscle strain, you can move on to determining how to treat it. Due to the injury’s rarity, there are no scientific papers evaluating the efficacy of treatment methods. However, since the tibialis anterior has a well-defined and simple role in running, we can devise treatments that follow the same universal rules that apply to all running injuries. Our two goals should be to reduce stress on the injured area and make the injured area stronger and more resilient. Reducing stress on the tibialis anterior is relatively easy. Since the most demanding task it carries out is decelerating the rate of plantarflexion at the ankle during heelstrike, anything we can do to make the heelstrike less prominent and slow plantarflexion will help. If you have tibialis anterior tendonitis, you might notice that your foot on the affected side sounds like it is slapping the ground very loudly when you run. Two ways to battle this are wearing shoes with a lower heel-to-toe drop and running on a softer surface. Lower heels create less mechanical leverage on the ankle at heelstrike, and a softer surface spreads out the “slap-down” of your foot over a longer period of time, easing the peak stress on the tibialis anterior. To increase the strength of the tibialis anterior, you should work to strengthen the muscle and tendon. Download our Top 2 exercises to prevent anterior tibialis inside your Insider Members area. 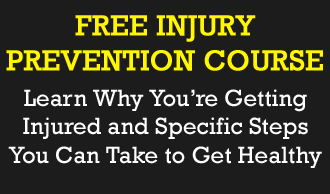 It’s a PDF with images and descriptions of the 5 most effective prevention and rehab exercises for runners with acilles issues. Fortunately, this is easy to do without any specialized equipment. Two great exercises are heel-walks and toe raises against a wall. To perform heel-walks, take off your shoes (preferably on carpet, grass, or another soft surface) and walk only on your heels, using your shin muscles to keep your forefoot off the ground. You can start with three or four sets of ten meters, and increase the distance of each set over time as your strength improves. Toe raises involve standing about one foot back from a wall, facing away from it. Then, lean back until your shoulders rest against the wall. Now, use your shin muscles to raise your forefoot off the ground, keeping your ankles, knees, hips, and shoulders in a line angling away from the wall. You can start with three sets of 15 repetitions slow and 15 repetitions fast, building to three sets of 30 repetitions slow & fast over time. Though strengthening the tibialis anterior and reducing stress on it when you run should be the main focus of your rehab program, there are a few other things you can do that might help speed your recovery. Tibialis anterior tendonitis taping using kinesiology tape will reduce stress on the tendon. Use a single strip of kinesiology tape, starting from the top of your midfoot and running along the length of the tibialis anterior tendon. Apply full tension for the segment of the tape that crosses the ankle joint—you want to take advantage of the tape’s elastic properties to augment the tibialis anterior. The compression and tactile feedback on the skin might help nudge your shin muscles along in the healing process. Some runners find them useful for calf and Achilles tendon injuries, and given that the tibialis anterior is an analogue of that muscle-tendon unit on the opposite side of the body, it might be worth a shot. Do Tibialis Anterior Injuries Require Time Off? Realistically, you’ll probably need at least a few days off from running, even if you catch this injury early. The rarity of tibialis anterior injuries in medical literature is, in some respects, good news. It may be that evidence shows this injury heals relatively quickly, thus leading to relatively few runners seeking medical help for it. Even though there are no specific guides to returning to running following tibialis anterior injury, we can use protocols developed for other tendon injuries. It appears to be safe to run on a tendon during the healing process, as long as the pain is only mild, and does not get worse day to day. 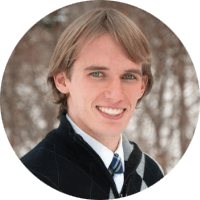 One study stipulates that pain must be below a “5 out of 10” on a pain scale, where 10 is “worst pain ever” and 0 is “no pain at all.”5 Brad Beer backed this up in our injuries special podcast episode. Pain must not get worse week to week, and pain must not persist the next day. If these conditions are not met, you need to back off your running. As long as you’ve ruled out other injuries in the same area, tibialis anterior tendonitis or muscle strain doesn’t need to keep you on the sidelines for long. Focus on reducing stress on the tibialis anterior by wearing shoes with a lower heel and sticking to softer surfaces when you run, and increase the tendon and muscle’s strength by doing heel walks and wall toe raises. Optionally, you can try kinesiology taping and compression wear to help speed your recovery. Taunton, J.; Ryan, M.; Clement, D.; McKenzie, D.; Lloyd-Smith, D.; Zumbo, B., A retrospective case-control analysis of 2002 running injuries. British Journal of Sports Medicine 2002, 36, 95-101. Murray, S. R.; Reeder, M. T.; Udermann, b. E.; Pettitt, R. W., High Risk Stress Fractures. Pathogenesis, Evaluation, Treatment. Comprehensive Therapy 2009, 32 (1), 20-25. Fronek, J.; Mubarak, S.; Hargens, A.; Lee, Y.; Gershuni, D.; Garfin, S.; Akeson, W., Management of chronic exertional anterior compartment syndrome of the lower extremity. Clinical Orthopaedics and Related Research 1987, 220, 217-227. Rees, J. D.; Lichtwark, G. A.; Wolman, R. L.; Wilson, A. M., The mechanism for efficacy of eccentric loading in Achilles tendon injury; an in vivo study in humans. Rheumatology 2008, 47 (10), 1493-1497. Silbernagel, K. G.; Thomee, R.; Eriksson, B. I.; Karlsson, J., Continued Sports Activity, Using a Pain-Monitoring Model, During Rehabilitation in Patients With Achilles Tendinopathy: A Randomized Controlled Study. The American Journal of Sports Medicine 2007, 35 (6), 897-906. John, great timing for this article since my tibialis anterior just started flaring up last week. After reading your post, I’m planning to focus on the strengthening aspect more since the rest/massage/anti-inflammatories aren’t doing much good so far. What are your thoughts on toe raises off a step, with assisted return to start, similar to your achilles rehab routine? This would potentially isolate the eccentric motion and avoid the weighted contraction. Also, I’ve found the elliptical to be good cross-training since it removes the plantar flexion from my stride. Ah, this article has been the most helpful of many I’vebeen sifting through! I’m wondering if this is what I have. It’s just flared up for a second time, despite just taking a month off running because of it. Pain started both times directly where the tibialis anterior tendon lies. When I kept running on it before, the pain spread up where I think the actual muscle is, round to the anterior and more lateral side of the leg, making it painful to weight bear/walk on it. So I stopped running altogether for a month. Tried a couple of short test runs last week, felt fine, have gone back into normal running routine this week and its started again at the front of my ankle. Does this mean I need to give up on running altogether for the a considerable amount of time?! It’s very frustrating!! I’ve also wondered whether being a more forefoot runner, (well, almost all up on the toes and leaning slightly forward, and living in a very hilly city) causes it as the ankle is in a more dorsi-flexed position? Your article has explained it very clearly. Perhaps I just need to work on some strengthening exercises.